How Important Is the Drill Bit Of The Water Well Drilling Rigs? 1. After the drill bit of the Water Well Drill Rig is drilled into the structure, it is necessary to replace the center drilling tool in time. First, the bottom of the hole needs to be cleaned, and then the residue at the bottom of the hole is blown clean. After the drill bit stops rotating, the drill in the water well drilling rig is drilled. It is most suitable when the lifting force is lifted up slowly and the lifting force is just enough to lift the drill. 2. The drill bit of the water well drilling rig needs careful attention to observe the follow-up condition of the casing during the drilling process, timely understand the specific conditions in the hole, keep the hole cleaned in time, and the drill bit in the water well drilling rig is on the drilling rig Strong lifting is prohibited during the process. 3. At the bottom of the hole of the water well drilling rig, there will be more residual slag. The eccentric drill bit will be stuck by the slag and affect its gathering production. At this time, it is necessary to transport the compressed air and re-clean the hole. And let the down-the-hole hammer work for a short time, and then re-do the lifting work of the center drilling tool. Previous: Good Beginning Of 2019! 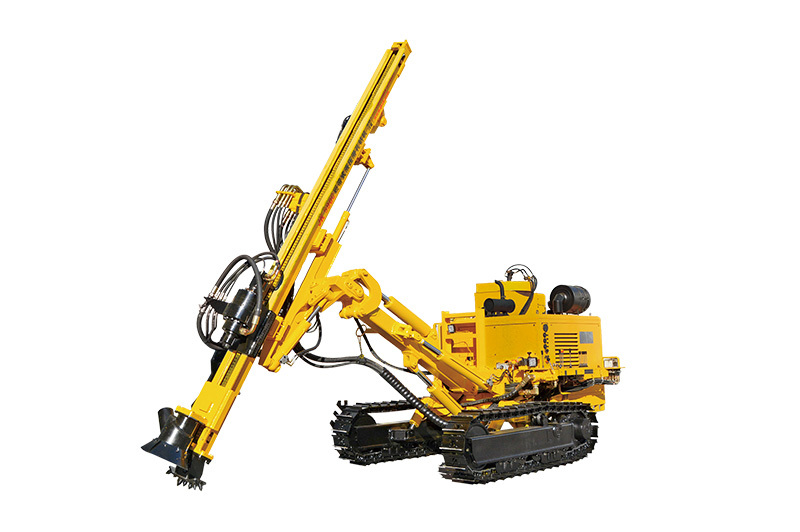 Next: Why Do You Choose JK Crawler Mounted Drilling Rigs?